10 Simple Ways to Keep Your Lungs Healthier! Protecting your lungs is vital, if you want to preserve your long-term health. Over a period of time, toxins from mold and bacteria can build up in your lungs causing you ill health. Therefore, getting into the habit of cleansing your lungs on regular basis is a good thing to do. A lung cleanse promotes normal lung functioning, helps to reduce swelling and inflammation and rejuvenates lung strength and vitality. To add to this, it also helps clear any mucus from your airways and improves circulation. It can even help treat asthma, throat infections, bad breath and chronic bronchitis. Fortunately, cleansing your lungs is pretty simple to do; you can easily do it with some home remedies mixed with lifestyle and dietary changes. 1. Find a comfortable place and lie flat on your back. 2. Place your hands on your stomach at the bottom of your rib cage. 3. Close your eyes and breathe in deeply through your nose while counting to 5. 4. Hold your breath for 2 seconds, and then breathe out slowly while counting to 5. 5. Repeat this 9 or 10 times. 6. Do this exercise 2 or 3 times a day. 1. Soak 2 to 3 pieces of wool flannel in 1 cup of warm castor oil (use only organic, cold-pressed castor oil). 2. Lie down on a large plastic sheet. 3. Place the soaked wool flannels on your chest and sides so that they cover your lung area. 4. Cover these flannels with the large plastic sheet. 5. Place a heating pad over the plastic sheet for 1 to 2 hours. 6. Remove the packs and wash with warm water to remove the oil residue. 7. Repeat twice a week for at least one month. A hot shower or sauna increases sweat secretion which helps your lungs to get rid of toxic substances. Please remember to drink some water if you have spent a long time in a hot shower or sauna so that your body does not become too dehydrated. 1. Drink 2 to 3 cups of ginger tea each day. To make this tea, simply boil 1 teaspoon of sliced ginger in 1 cup of water. Allow it to simmer for about 5-10 minutes. Strain it and add some lemon juice or honey to improve the taste. 2. 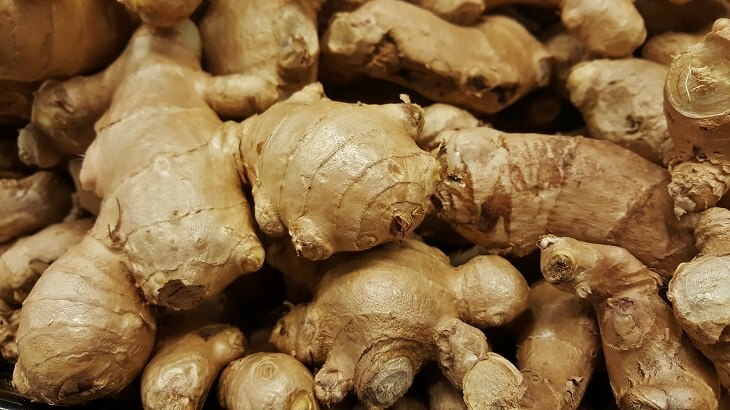 Include raw ginger in your cooking. 3. Ask your doctor for a ginger supplement. N.B. If you are taking heart or high blood pressure medication you should avoid taking ginger in excess. 1. 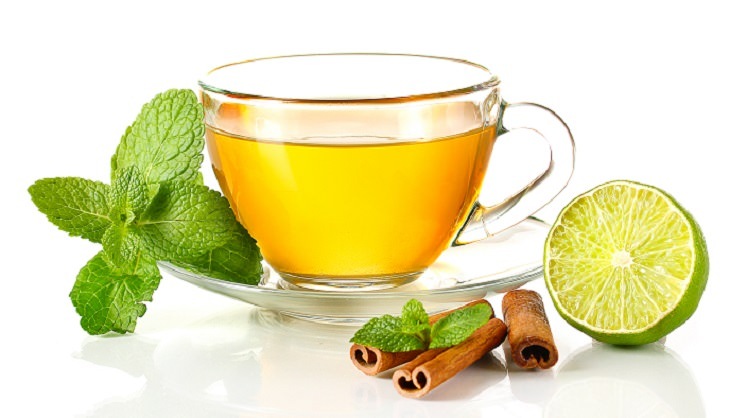 Drink 2 to 3 cups of licorice root tea over the course of a few days. To make this tea, simply add 1 teaspoon of licorice powder to a cup of hot water (not boiling), cover and leave for 10 minutes before drinking. 2. Add half a teaspoon of licorice powder with a tiny bit of honey and consume it twice a day for a few days. N.B. Licorice may not be suitable for pregnant women, infants and people who have kidney diseases, diabetes, and high blood pressure or low potassium levels. Eucalyptus is commonly found in cough sweets and syrups. It's effective due to its expectorant compound called cineole, which can help fight coughs, congestion and soothe irritated sinus passages. To use eucalyptus oil to cleanse your lungs simply add a few drops of it to hot water and inhale the steam for up to 15 minutes. N.B. Eucalyptus oil can decrease how quickly the liver breaks down some medication. Therefore, taking eucalyptus oil with medications can increase their side effects and effects. Please talk to your healthcare provider to determine whether any medications you take may be affected. Eating a healthy diet can drastically improve the strength of your lungs, and foods which are high in antioxidants are especially beneficial. Antioxidants have been shown to increase lung capacity and improve the quality of a person’s breathing. Foods that are high in antioxidants include blueberries, broccoli, spinach, grapes, sweet potatoes, fish and green tea. 1. Place 5 to 10 lobelia leaves in a pot of boiling water. Cover and steep for around 5 minutes, then inhale the steam. Do this for about 10 minutes each morning and evening for a few days to cleanse your lungs. 2. You can also drink it as a herbal tea. However, this herb can be toxic if taken in high doses, so take it under the supervision of an herbal practitioner. The mullein plant is known to clear mucus and cleanse bronchial tubes. The flowers and leaves of this plant are used to make an herbal extract that can strengthen the lungs. To make a mullein tea simply add one teaspoon of the dried herb to a cup of boiled water. Oregano contains carvacrol and rosmarinic acid. Both of these compounds are natural decongestants and histamine reducers which have been shown to benefit the respiratory tract and nasal passage. The oils in oregano (thymol and carvacol) inhibit the growth of harmful bacteria such as staphylococcus aureus and pseudomonas aeruginosa.